How Do Your Kids Spend and Save Money? You are here: Home / Family life / Savvy Living / How Do Your Kids Spend and Save Money? One of my kids’ favorite holiday and birthday gifts is always cash, but it’s interesting to observe each of my five kids handling their cash gifts totally differently. Just this past week, each of my kids received a rather substantial amount of money from family members (and in the case of my oldest daughter, some very generous friends…) and I was able to watch them closely to see how they each reacted to having their own cash to spend. The Spender – We all know a spender. The Spender is the one who can’t wait to get to the store as soon as possible after receiving money so that they can spend every dime of it. While in Florida, one of my children couldn’t wait to spend her cash, and convinced her mom and Nana to take her out for a special trip. She happily filled her shopping cart with as much as she could buy, caring more for the act of shopping with her own money than what she was actually buying with it (although I must say she has completely enjoyed the things that she bought). The Saver – My Saver is quite the opposite of my Spender. As much joy and satisfaction as my Spender gets out of spending her money, my Saver gets as much satisfaction out of simply HAVING money. While he does tend to make plans for things that he would like to buy in the future, the act of spending the money is not the focus. He is content just in being able to hold the money in his hands, count it endlessly, and scheme ways to make it grow. The Analyzer – My Analyzer is similar to my Spender in that she does want to buy something with her money, but she must think over every penny spent and consult with another trusted person before committing to buy. In the end, she has not spent all of her money, typically has some left over to spend another day or save, and is extremely pleased with the purchases that she decided to make. The Investor – The Investor might be too young for the Stock Market, but she DOES have a handy jar in her room to collect change. She combines the skills of the Analyzer with the foresight of the Saver and seems to make her money stretch forever. She enjoys spending money, but she also enjoys saving it, and finds ways to earn a little more here and there. She is savvy to the benefits of borrowing and being a lender, and uses it to her full advantage. The Clueless – I think we all know someone who is Clueless when it comes to money. He likes to spend but seems to have no concept of value, and “saving” money typically ends up in the losing of that money. 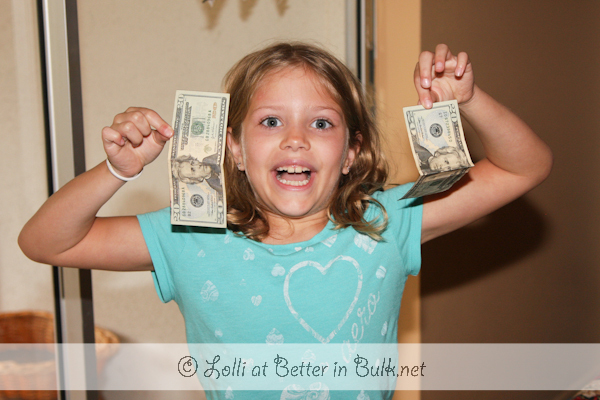 Do your kids (or YOU) fall in to any of these spending or saving categories? Disclosure: This post was inspired by Kidworth, a free service for parents to help teach children money management that will last a lifetime. I am a Kidworth Ambassador and am compensated for my involvement in the program. I have a spender and a saver. Very interesting to have two on opposite ends of the spectrum!